The real smoke & odor eater: The Wholesale Odor Eliminator presented in the 18 oz apothecary jar. Odor Eliminator candle uses a patented fragrance technology that attacks germs & odors in the air - not just masking them! 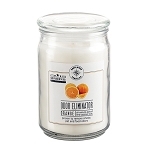 Citrus Fresh fragrance leaves a clean pleasant aroma that eliminates pet, tobacco & household odors. Sprays work for just a few minutes. 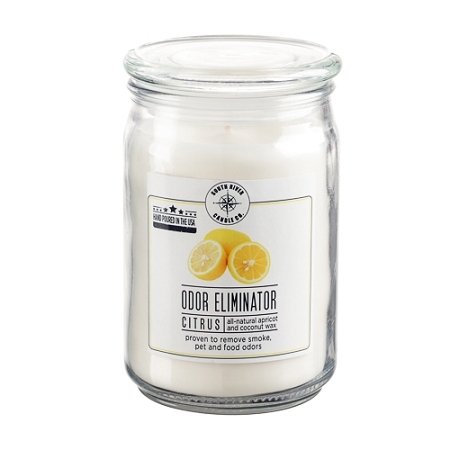 The Odor Eliminator works for hours & hours. 6 jars to a case presented in the 18 oz apothecary / tiara vessel with a flat lid. The candles with lid measures 5.75 inches tall by 3.75 inches wide, it will burn for approximately 110 hours. South River Candle Co. 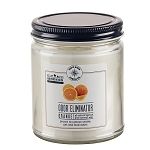 Odor Eliminator is made with all natural apricot coconut wax. Q: is this the wholesale price for this candle? 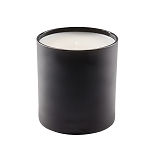 A: The prices listed are wholesale, the price is not for a candle, it is for a case of 6 candles.